How do I Start CSS? 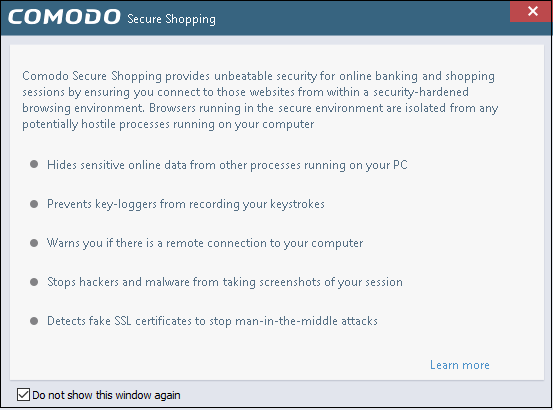 The Secure Shopping environment automatically opens when you visit a configured website. 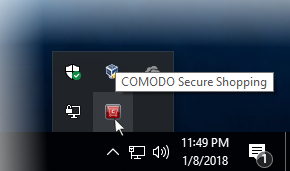 From the system tray icon - Double-click the 'Comodo Secure Shopping' icon in the system tray or right-click the icon and select 'Open Secure Shopping' from the options. All browsers installed on your system will be available in the CSS task bar. Visiting any website using these browsers means your session will be protected by Secure Shopping technology. The yellow folder icon on the left allows you to browse to a program that you want to open in the CSS environment. 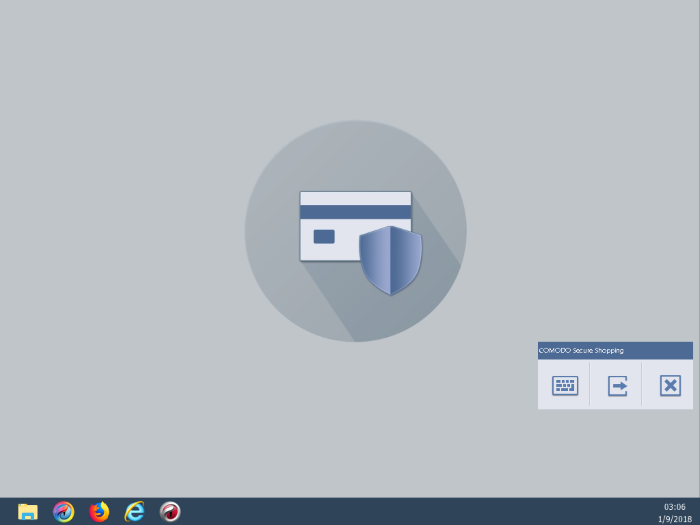 The floating tools panel allows you to open the virtual keyboard, temporarily switch back to your desktop, or to exit the Secure Shopping environment. This panel can be placed anywhere in the screen by dragging and dropping.